Shoals Spark is held annually in March allows community and students an opportunity to advance ideas that will make the Shoals more prepared for the digital technology industry. Shoals Idea Audition which is the region’s 3 minute elevator pitch contest held annually in November. The 2014 contest had over 30 competitors and at least 5 have launched their companies. Smart Start Weekend is UNA’s student weekend business startup event held annually in the Spring semester. In 2014 35 students, 25 mentors and 6 judges collaborated to launch 6 companies. 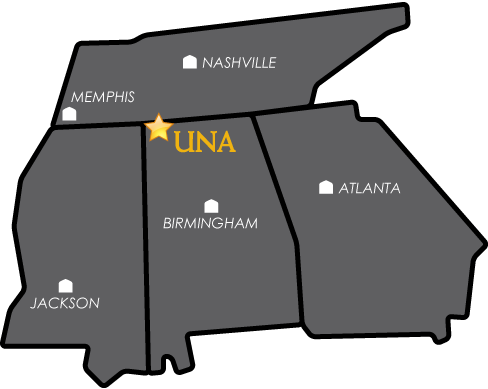 Strategic Doing Certification Training hosted regularly at UNA’s East Campus. Since initiated 25 trained participants are spreading the process of this lean agile strategy.